as part of "Before vol. 2"
Time to get Metaphorical once again, this time down Yokohama way. Yokohama Chinatown, even, at Art Baboo! Check out the Metaphors HERE, and then come hear us up close and personal! Other cool stuff on the bill as well. Can't make it to Yokohama that night? 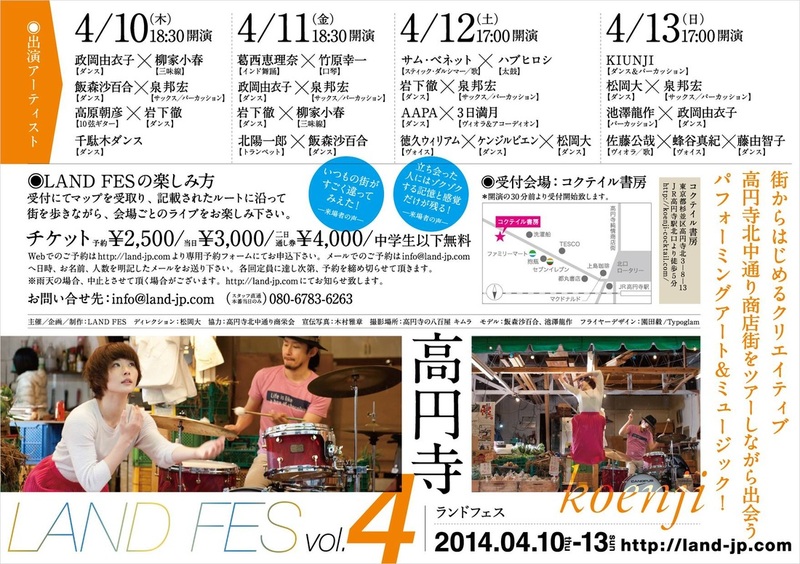 Well, we're in Higashi Nakano the night after, so check that out, just below! Marcos Fernandes, frame drum, talking drum, etc. This will be an evening of songs and such: I'll be playing a solo set. Also on the bill is Irish songster David Brennan, American singer/songwriter Charles Cullen (with David Rudall on trumpet). Datiko Gee will be there with his guitar, and from Jamaica, poet/rapper Dave Colleymore. LanCul is a language school by day, bar/cafe by night. The place has a very friendly and relaxed vibe: last time I played there it was a lot of fun and the international mix of the audience is great. LanCul is VERY close to Shimokitazawa station North Exit (check the map! ), so hey, come on down. we repeat, NOT be disappointed! It's the big 14th installment of DRUNK POETS SEE GOD, where some of Tokyo's most daring and engaging wordsmiths get on the mic and show their stuff. Hosted by by Samm Bennett, singer and poet Sorcha Chisolm and spoken word titan Frank Spignese, this is the place to be for those who want to keep abreast of the latest in loquacious lingo! Samm (as well as other musicians, depending) will be on hand to provide instantaneous musical backing to any poet who might happen to want it, and all are welcome to read, recite, intone, chant, grumble, shout or otherwise enunciate. Fun stuff, serious stuff, flights of fancy, hilarity, stream of semi-consciousness, heaping helpings of free association and extended elocution. Hooray! Facebook event page (tell us you're coming! 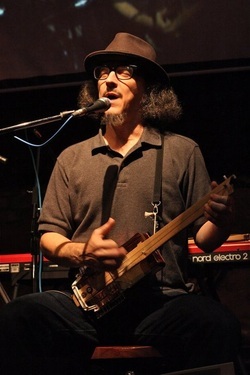 Bluesman Rambling Steve Gardner will bring his own personal brand of deep country blues to the Sumida River, aboard one of those classic Japanese party boats. Lotsa food (all you can eat!) lotsa beer (all you can drink!) and lotsa BLUES! On bass will be Hisa Nakase, and on drums, yours truly, Samm Bennett. These Blues Cruises have been a whole bag of fun (this will be the third one for me) and I'm really looking forward to this one as well. BUT... it's all sold out. Sorry about that! There'll be another one on July 20, though, and I'll keep you updated on that!